Drivers heading from Arlington into Fort Worth be on the alert. Westbound I-20 was closed earlier near East Loop 820 due to a fatal auto-pedestrian accident, but has since reopened. Delays remain. Drivers heading from Arlington into Fort Worth be on the alert. Westbound I-20 was closed earlier near East Loop 820 due to a fatal auto-pedestrian accident, but has since reopened. Delays of up to 30 minutes remain. Earlier, the Northbound Hwy 287 ramp to WB I-20 was also closed. Traffic was forced to exit at Little road. A view from traffic cameras showed traffic completely stopped with delays up to 30 minutes. MedStar confirmed an adult male died at the scene. 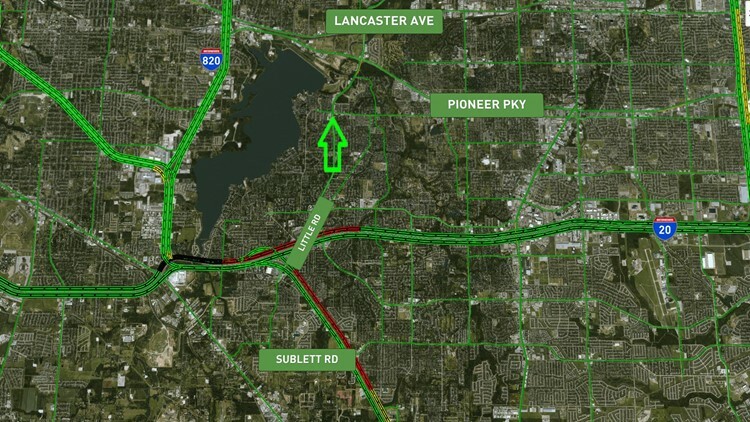 Alternate route: Commuters exiting Little Road can take Green Oaks to Pioneer Parkway and Lancaster Avenue to heat to Fort Worth. Try to use Westbound I-30 if possible Thursday morning. Check WFAA’s traffic map for the latest updates.